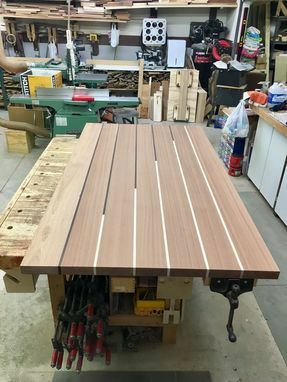 An extra special arrangement of sapele, maple, & wenge resulted in this stunning Dining Table supported on an "X" metal/maple beam base. Dimensions of the Dining Table are approximately 30" tall x 40" wide x 78" long. 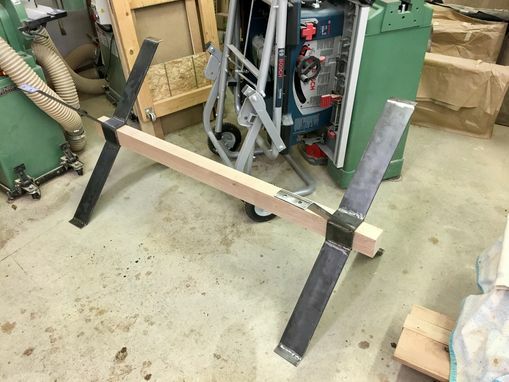 The metal feet of the base has felt pads to prevent marring wood floors, or wood pads could be added to the metal feet (see photos). 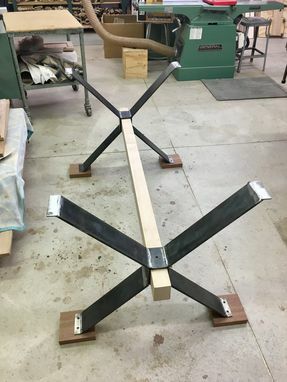 Both the metal base and wood sections are unfinished & await the finish of the customer's choice. Originally the wood sections were to have several coasts of Danish wood oil applied & after the finish had dried, a hand-rubbed coat of a satin polyurethane applied. The base was to be spray painted with a "hammered" type black paint. 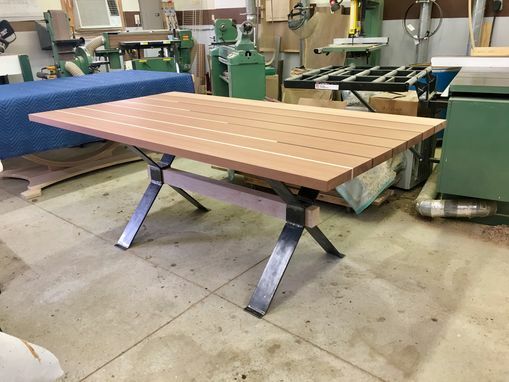 The price includes the customer's choice of finish. 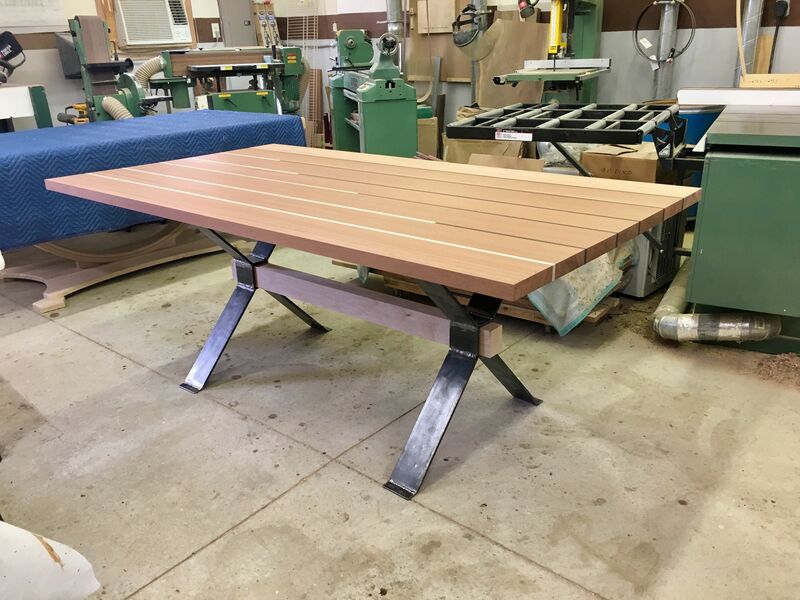 It's the responsibility of the customer for pick up & delivery of the Dining Table outside the 50 mile radius of Dowling, MI. 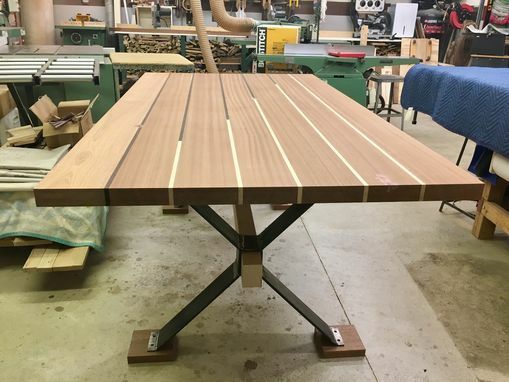 Please contact the craftsman through the Custommade.com website for shipping charges outside 50 mile radius of Dowling, MI, and for other details.